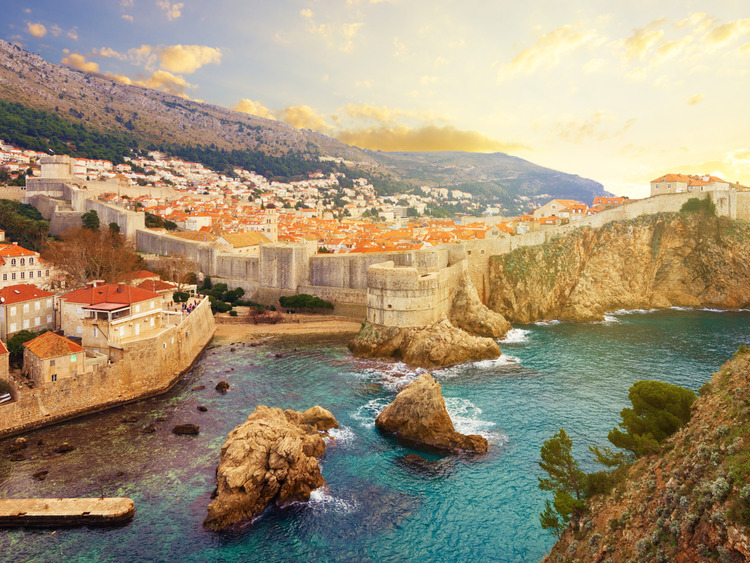 An out-of-the-ordinary excursion to admire some of Dubrovnik's historic monuments from a kayak, with time for some snorkelling in the crystal-clear waters of this part of the Adriatic. We leave the port and head for Pile Gate, the main entrance to the old city. A stone bridge supported by two Gothic arches, built by the architect Milicevic in 1471 leads to the external side of the gate. Our kayaking adventure begins nearby in the charming Kolorina Bay. As directed by our instructors, we follow them as they paddle beneath St. Lawrence Fortress, continuing along the southern part of the old city walls until we arrive at Lokrum island and Betina beach, not far from Sveti Jacov beach. At that point we set down our paddles and take the opportunity to do some snorkelling and admire the many species of flora and fauna in these unpolluted waters, and have a snack before getting back in our kayaks to return to Kolorina Bay. This excursion does not include the services of a guide. An instructor provides with the necessary instructions for this activity. The excursion is not recommended for children under the age of 11. During the kayak trip it is mandatory to wear a life jacket. Excursion participants are accommodated in tandem kayaks.